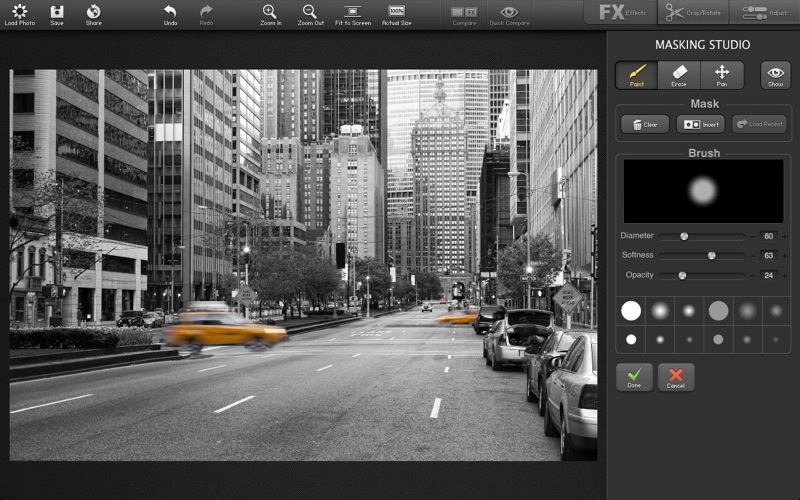 FX Photo Studio is the most popular effects & filters app on Mac. 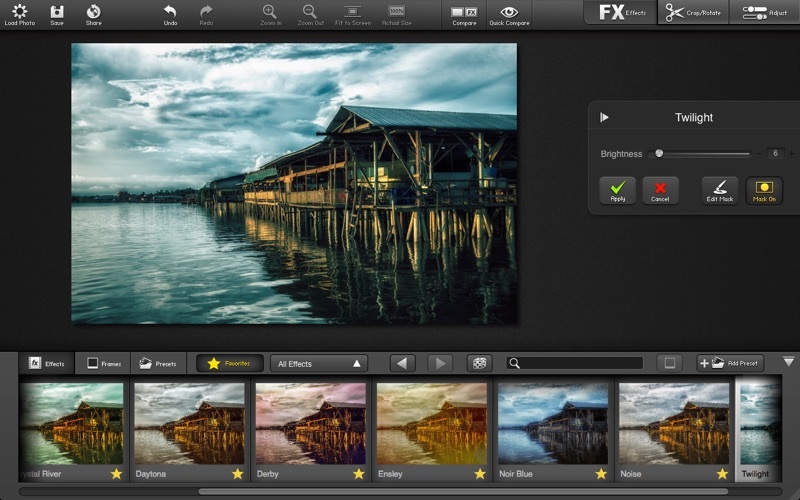 You get over 170 high-quality filters, plus frames, borders and editing tools. Combine and layer any of the 173 effects and 40 photo borders to create the perfect looking image. A completely customisable interface allows you to preview each effect, compare original and resulting images, label favourites and even save combinations of effects as presets. You can apply as many filters to one image as you like, save mixes of effects to presets and even share these presets with other photographers around. The new masking and color splash tools allow you to apply effects and colors to a part of the image only, giving even more creative freedom to your photography. Effects include: Lo-Fi, Grunge, Art, Vintage, Vignettes, Sketches, Hollywood FX, Cross Process, Glow, Black & White and more. 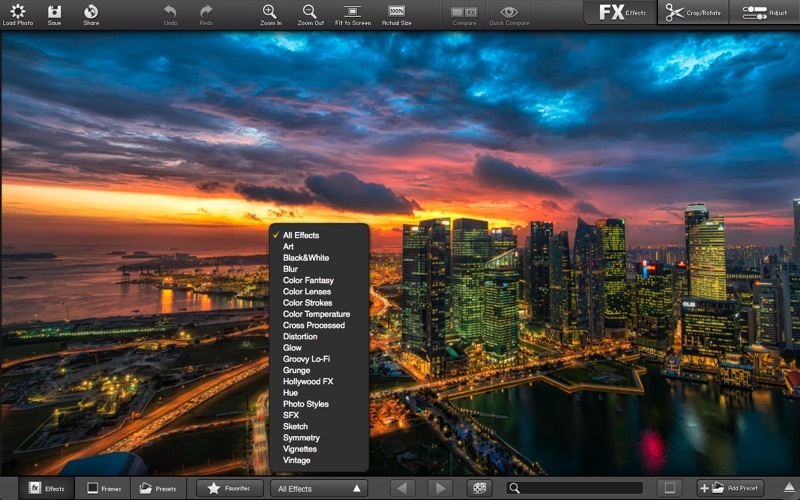 Created by usability and photography professionals, FX Photo Studio’s user interface ensures that editing your photos can’t get any easier. The elegantly simple design provides easy access to every tool you’ll need, without cluttering your screen and allowing you to focus on your image. 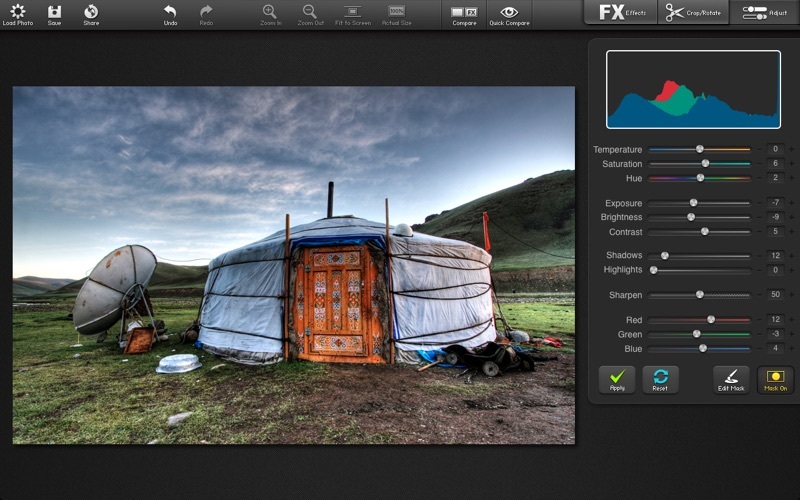 FX Photo Studio PRO also lets you print images instantly, e-mail or share via most popular social networks: Facebook, Tumblr, Flickr, and Twitter. This update brings a number of bug fixes and performance updates.